October 11, 8 p.m. “Pay As You Can Night” – no reservations, walk-in’s only. Donations suggested and appreciated! Lobby and Concession stand open at 7 p.m. for all 8 p.m. evening performances, and 1 p.m. for all Sunday 2 p.m. matinee performances. All other performances October 12 to October 27, 2018. Advanced ticket purchase suggested. Tickets $25 adults; $15 children – General Seating only for Non-Subscribers. DREAMGIRLS is the Michael Bennett Broadway hit Musical about a Motown style female vocal trio who rise to fame and then battle against unsavory Record Executives and the appropriation of their hit song by white singers. 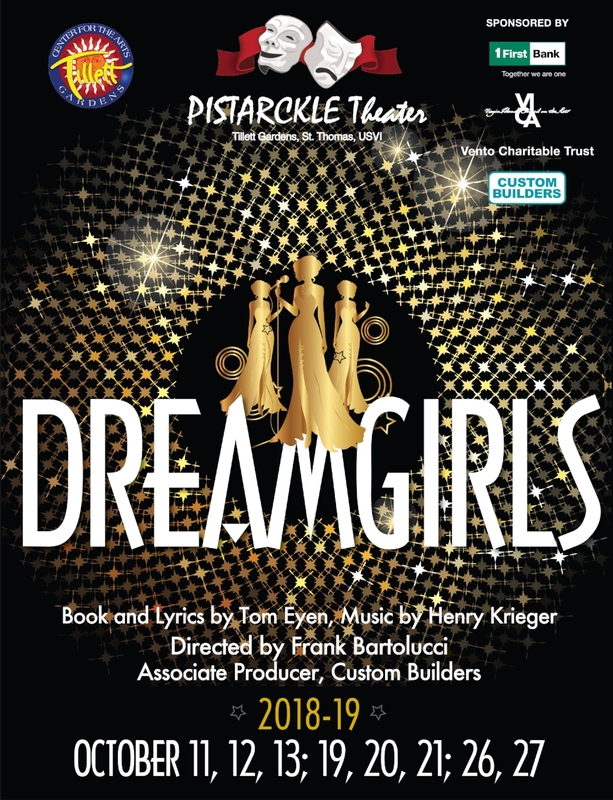 DREAMGIRLS, book and lyrics by Tom Eyen, Music by Henry Krieger. DREAMGIRLS is presented by arrangement with TAMS-WITMARK MUSIC LIBRARY, INC. New York.